New colors for the Voksi® Autumn/Winter 18/19 collection. The days are getting cooler, night is falling earlier and the leaves on the trees paint the landscape with hues of amber and gold. There’s something pretty special about the way nature tunes down its colours in autumn and winter. It’s a gentle movement from the bright dappled greens of summer to the rich, calming tones of the seasons that follow. Inspired by this transition, the new autumn/winter collection of Voksi® sleeping bags reflects nature’s changing palette of unique and beautiful shades. 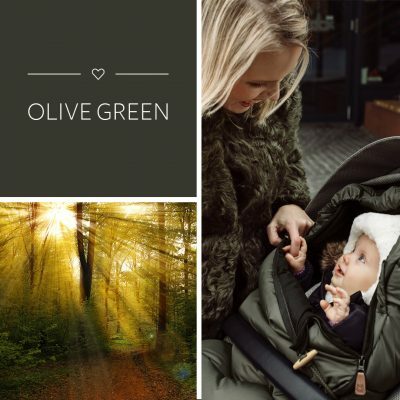 With a focus on natural colours in an abundance of rich tones, we’ll help you welcome the cooler days with sleeping and stroller bags that offer both style and comfort. 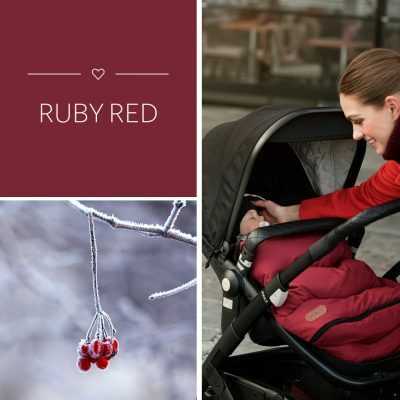 You’ll fall in love with a Voksi sleeping bag in our new wintry colour, Ruby Red. When you bundle up your little one in this new season look, you’ll add a bright splash of colour to your cold weather baby accessories. Just imagine how snug they’ll look with their precious rosy cheeks all rugged up in this deep shade of blushing warmth. The calming softness of Mélange Grey reflects the clouds gathering above as you weave your stroller through the streets between rain showers. It’s a cosy complement to the cool blue and silver skies that have replaced the bright hues of summer. Summer’s vibrant grassy shades makes way for autumn’s muted tones of Olive Green. Stylish and urban, our new olive tone resembles the last leaves clinging to the trees and the first deepening shades of fall. No more lingering twilight now that the rich, velvety darkness is falling quicker. 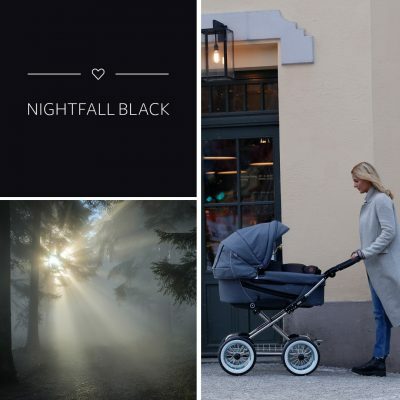 Our Voksi sleeping bag in Nightfall Black is a mirror to the silent depth of Scandinavian winter night skies. And your littlest, brightest star will be tucked comfortably inside. Away from the city lights, the speckled blackness of a Nordic winter’s night holds the promise of brilliant colours that will dance across the sky. Voksi® adapts to changing styles by bringing fashion-conscious parents the latest season colours. 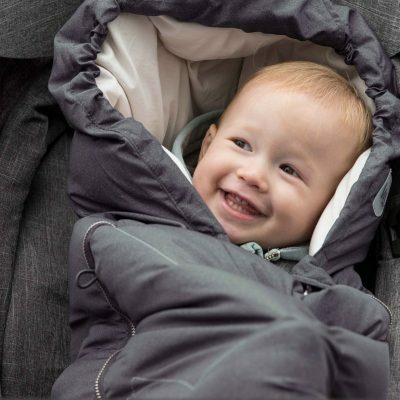 But we also ensure your baby is comfortable and protected with the right sleeping bag to suit all weather conditions. From the classic Voksi® Urban to our newcomers Voksi® Active and Voksi® Premium Nature, we use the highest quality materials with a combination of down/feathers and wool. We’ve also packed our bags with plenty of smart functional features such as a pacifier holder badge, zip-open foot end and zip-on extension to grow with baby. Every part of our Voksi® products are certified according to Oeko-Tex® 100, Class 1, from zippers to fabric, filling and details. This has been an extensive but crucial process for Voksi® to assure we leave as little environmental footprint as possible and can provide the safest products for your child. Find out more about our Oeko-Tex certification. The Voksi® Move – great for travelling families, this stroller bag includes openings on the back to fit internal harnesses of most car seats and strollers. The Voksi® City – a soft, lightweight stroller bag that also zips open to use as a playmat. The Voksi® Active – designed to withstand harsh weather conditions and keep your child in a warm and stable temperature during all your outdoor adventures. The Voksi® Premium Nature – lined with beautiful New Zealand sheepskin, with a wind and water repellent outer, to protect your child even in the coldest winters. With a Voksi® bag, not only will your baby be perfectly cosy as the seasons change, but you’ll add style, function and the latest colours to your essential baby accessories. So now that the temperature has dropped, take your family out into nature to appreciate its ever-changing beauty (and admire how perfectly your new Voksi® sleeping bag matches the season! ).